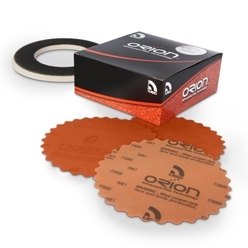 Use with 014002 ORION™ Wave Interface Pad. Refer to the ORION Patented SynWave Technology Sell Sheet for part numbers and grit information. * SynWave reduced finish-sanding times by 50%, according to a testimonial from an award-winning custom painter.